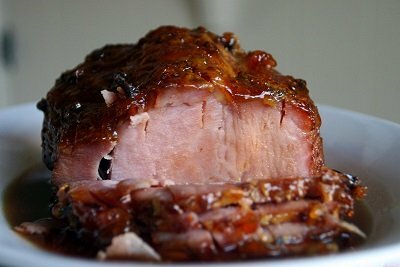 Baked ham, especially this Baked Ham Recipe, is a favorite restaurant recipe on the weekends and for holidays. The restaurant guests have asked for the ham recipe many times and until now it has always been a favorite restaurant recipe. The recipe is not difficult but the glaze of apricot nectar and preserves with orange marmalade really is a popular flavor enhancement. 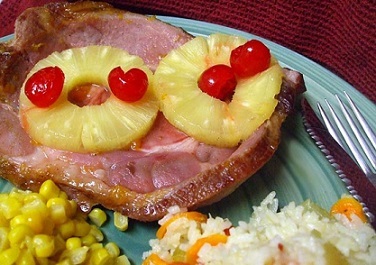 You can use a pit ham for this recipe if you wish. It is a smoked, boneless ham that is completely skinned and trimmed of excess fat. It is a great time-saver, but is still a flavorful, tender, juicy ham. 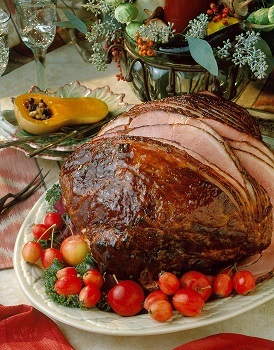 Enjoy your Apricot Glazed Ham Recipe and the company of those you share it with! No green ham for you!